Welcome to the Columbia City High School Alumni Association web site. This site is for all alumni of Columbia City High School, Columbia City, Indiana. Our goal is to promote school spirit, loyalty and fellowship among alumni, students, faculty and staff of CCHS through a variety of activities. This site provides a forum for staying in touch with classmates and friends of CCHS. 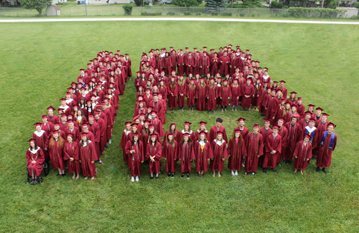 Greetings--Welcome to the Columbia City High School Alumni Association website. As your president I look forward to sustaining what we have built and to expanding our horizons as an organization. My goal is to continue working with the board of directors to increase scholarship opportunities for our future graduates. Thanks, in advance, for your support of the CCHSAA. Coming Soon, a more secure website! As part of a complete website redesign, the Alumni Database will be password protected for the security of our alumni. All other parts of the CCHSAA website will remain public and not require registration to view. When the redesign is complete, website visitors will have to register before being able to view the Alumni Database. Registration will be free and will not require membership in CCHS Alumni Association. It will be open to all CCHS & CCJHS graduates and to students who attended but did not graduate there. Alumni will need an email address to register, either their own or a family member's. This email address will not appear in alumni profiles, which will contain a "Contact" button to send an email. The one & only CCHS Alumni Association website: Ad-free, run by CCHS alumni volunteers and free for all alumni, faculty, staff and friends of our school. This official website can always be reached by using the link in the upper right corner of the CCHS website's home page. Don't be fooled by email invitations from commercial sites -- web addresses ending in .com are commercial. 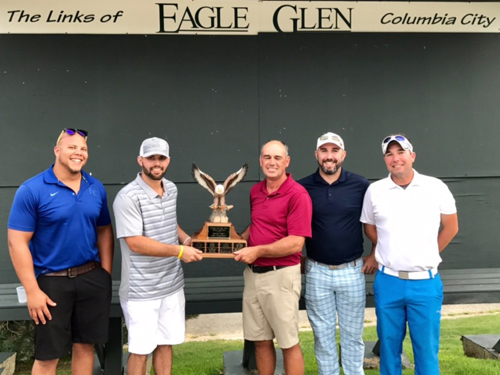 The 13th annual CCHS Alumni Association Golf Outing is scheduled for Saturday August 24, 2019 at 1 p.m. at Eagle Glen Golf Course. Social Luncheon for CCHS alumni and all citizens of Whitley County to be held in Florida on Tuesday, March 5, 2019 at 11:00 a.m. Click here for details. Click here for tips on entering profiles in the Alumni Database. Above Left to right: Kaleb Conley; Jamie DeTar (CCHS 2007), tem captain; Andrew Thompson, President of CCHS Alumni Association, Tim Miller and Phil Miller. Columbia City High School Alumni Association hosted its 12th annual golf outing on Saturday September 30, 2018 at Eagle Glen Golf Course. After the golf, dinner was served at Eagles Nest Event Center and awards presented. 41 of the 62 golfers were CCHS alumni, representing 26 different classes and spanning seven decades. The winning team was Jamie DeTar (CCHS 2007), Kaleb Conley, Phil Miller and Tim Miller. 2nd place team was Drew Benedict (CCHS 2013), Drew Burnsworth (CCHS 2012) Austin Burnsworth (CCHS 2007) & Sean Kline. All proceeds go to the Bob Brittian Memorial Scholarship fund sponsored by the CCHS Alumni Association. 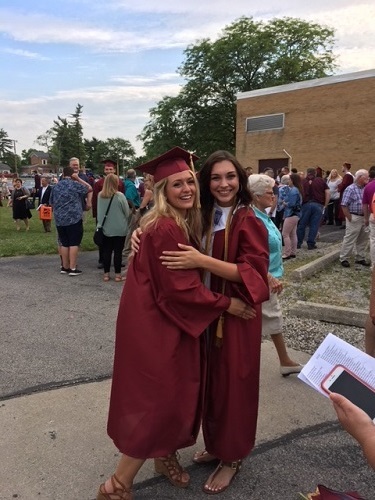 We look forward to awarding scholarships to the CCHS class of 2019 in May. Thanks to all who participated and our volunteers who worked the event. Also, our hole sponsors! Next year's event will be held on Saturday August 24, 2019 at 1:00 p.m. See you next year! The “Teddy L. Gruver” Founder’s Trophy is currently on display in the main office at Columbia City High School, 600 North Whitley Street, Columbia City, IN. Winners of this annual event will have their names added to the trophy and a photo of the winning team will be displayed in the CCHS main office. The event is more about fun, sportsmanship, and fundraising to benefit current CCHS students and the community than about superior golf skills or winning the golf tournament. It is open to all who love the game, not just CCHS alumni. All monies raised from sponsorships and donations by patrons & golfers of monetary gifts or prizes will be placed in the Whitley County Community Foundation. 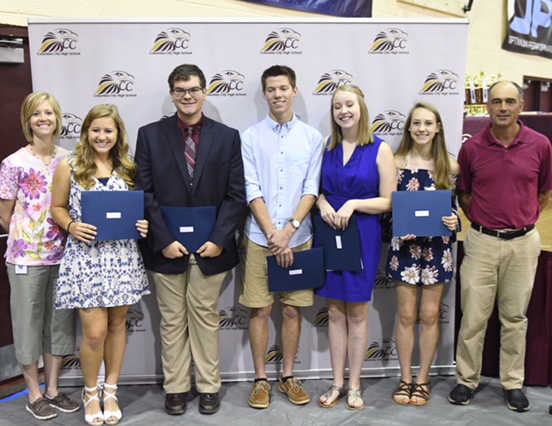 Above left to right: Presenter Melanie Bechtold, scholarship winner Allison Conrad, scholarship winner Justin Johnson, scholarship winner Garrett Anspach, scholarship winner Kamryn Yenser, scholarship winner Lauren Klieman and Andrew Thompson, president of CCHS Alumni Association. 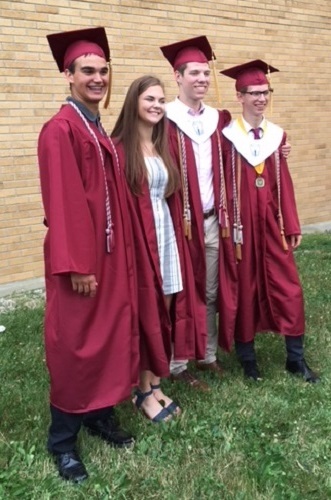 Columbia City High School Alumni Association (CCHSAA) awarded Bob Brittain Memorial scholarships to five CCHS graduating seniors at the Honor Convocation held at CCHS May 31, 2018. Andrew Thompson, President of CCHSAA, and Chris Bechtold, Ambassador for CCHSAA presented the scholarships at the convocation. The five scholarships were valued at $500.00 each and were awarded to Allison Conrad, Justin Johnson, Garrett Anspach, Kamryn Yenser, Lauren Klieman. Kristin Rentschler, Rachelle Patrick and Melanie Bechtold were on the selection committee. 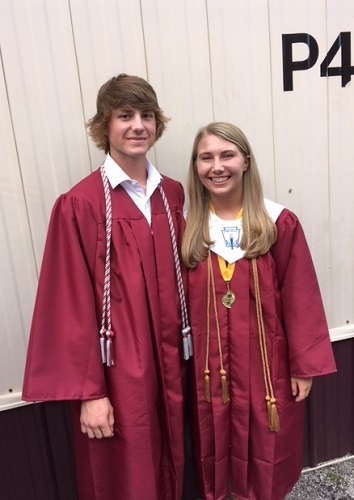 CCHSAA congratulates the recipients and wishes them well in their future endeavors. 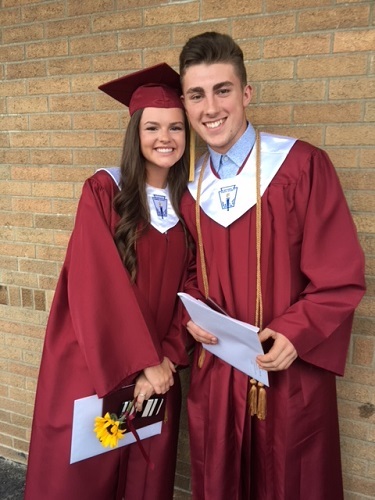 Above: Abigail Schrader and Ethan Christian. Above left to right: Allison Lude & Adri Foster. 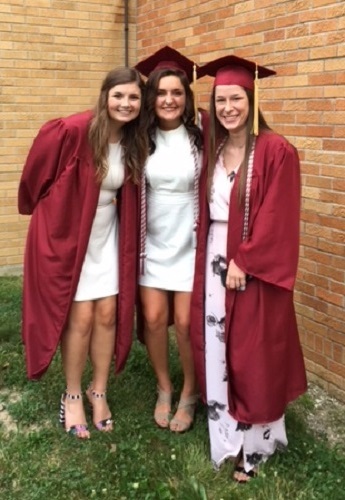 Above left to right : Bailee Yount, Hannah Behm and Brooklyn Dittmer. Above: Ian Branning and Molly Luther. 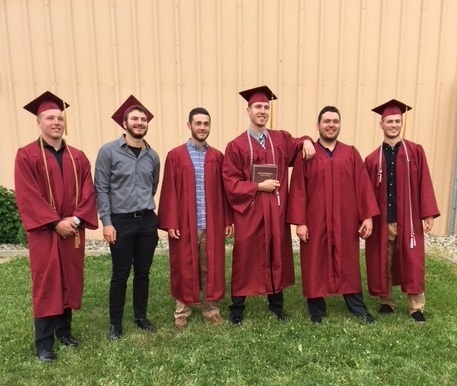 Above left to right: Klayton Parker, Kolten Lemon, Karsen Rider, Matt Weber, Doug Hinen and Aaron Wilcoxson.